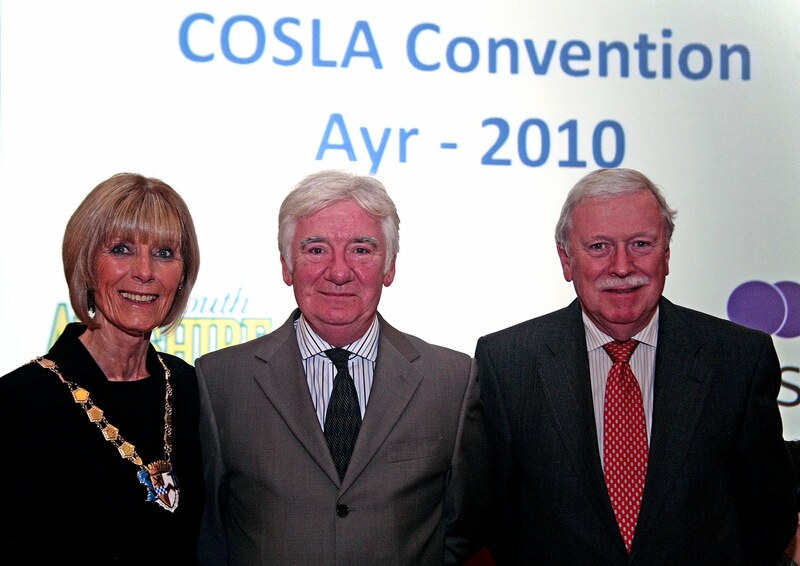 South Ayrshire played host to senior local government politicians and officers from across Scotland last week when the COSLA Convention met in Ayr Town Hall for the first time. 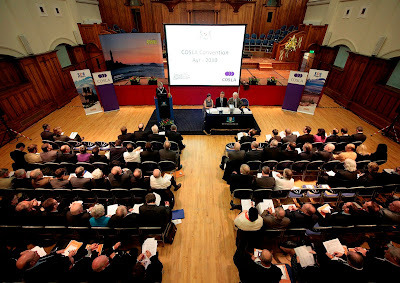 Held just four times a year in venues across Scotland, the Convention is COSLA’s ruling body with overall control of COSLA’s policy and direction. 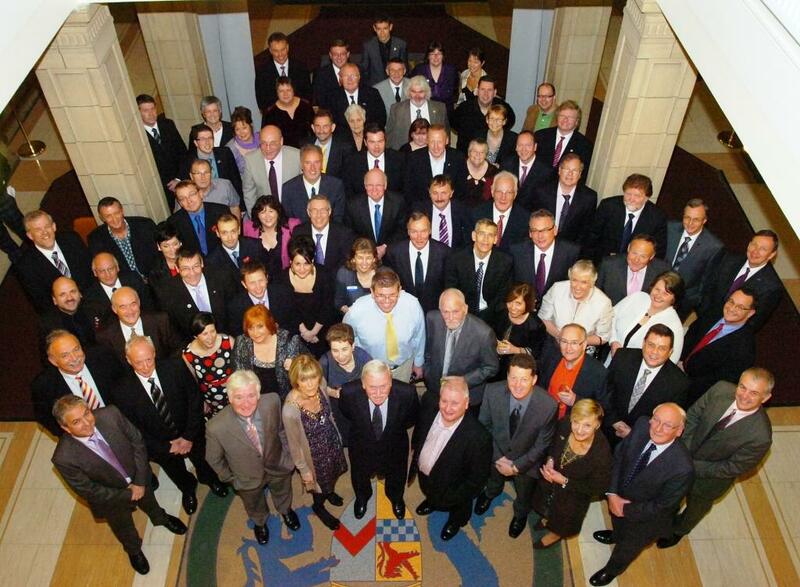 It consists of representatives from all member councils and political groups represented within Scottish local government. South Ayrshire Provost Winifred Sloan (pictured above) delivered the official welcome to those attending, which included representation from almost every Council in Scotland. The meeting included lively debates and discussion on issues including the Spending Review, NHS resource transfer and public sector reform as well as a presentation from the Equalities and Human Rights Commission. Provost Sloan also hosted a pre-event dinner - sponsored by Northgate Public Services - at County Hall the evening before the Convention. Provost Sloan said: “I was delighted to welcome friends and colleagues from Scottish local government to South Ayrshire for the COSLA Convention. This is a key event on the local government calendar and gave us a terrific opportunity to showcase the South Ayrshire area, our facilities and services. Councillor Bill McIntosh, Leader of South Ayrshire Council, added: “It was a privilege to welcome fellow Council Leaders, officers and politicians to Ayr for such an important meeting, coming just days after the details of the comprehensive spending review were revealed. COSLA President Pat Watters said: “We try and take one Convention a year out on the road, and it was a pleasure visiting Ayr for the October Convention. Discussions were lively as you would expect with the serious financial challenges we are all facing. There are currently 796 Ayrshire business stories permanently archived on this site. To locate those of most interest to you, please use the site search facility in the top right hand corner of this page.